London-based accessories brand Spiral has bagged a collaboration with Barbie. The collection is made up of a selection of festival and back-to-school influenced backpacks and bum bags that feature Barbie’s signature pink tone and famous logo whilst taking Spiral’s approach to color. Launched in 2013, the Watford-based brand creates high quality backpacks and accessories with bold designs, primarily aimed at the millennial consumer. “We are delighted to be partnering with Barbie, an iconic brand that matches our own values. Through this #BarbiexSpiral collection we want consumers to celebrate this festival and back to school season showing their Barbie love,” said Scott Stevenson, commercial director at Spiral. True to its millennial nature, the collaboration will launch on Asos, with the bum bags available since 22 June and the backpacks launching on 16 July. “We are delighted to be partnering with Spiral. 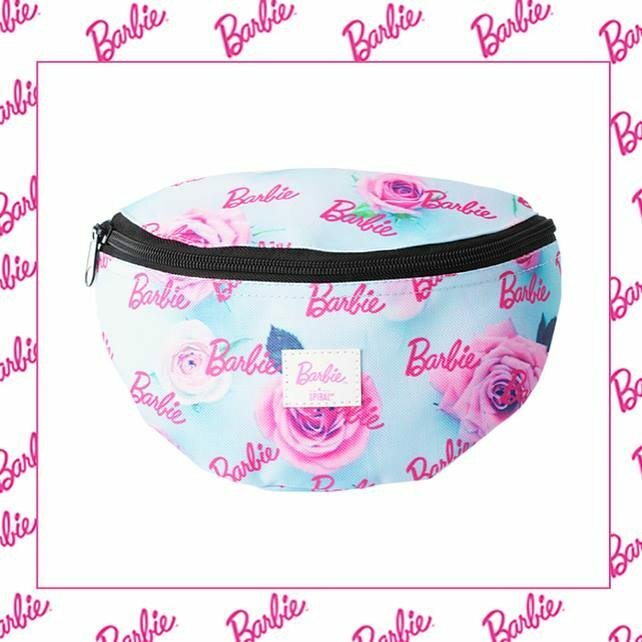 They’ve developed a great range of bags and bum bags that really capture the fun spirit of Barbie,” said Gemma Daniels, associate manager of consumer products at Mattel. The BarbiexSpiral collaboration will also launch on retro clothing and accessories e-tailer Truffle Shuffle.